Bloomingdales in the Mies in DC? 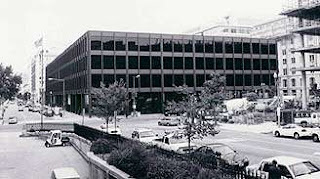 The Mayor of Washington D.C. is talking to the Bloomingdale’s corporation about potentially locating a new store in the Mies van der Rohe–designed Martin Luther King, Jr. Memorial Library. Would a modern and contemporary art museum, a wing of the nearby National Gallery, which needs to expand, be a better idea? Preservation. 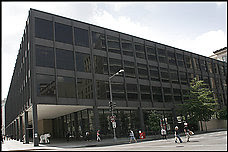 Save the only Mies in our nation’s capitol! And the only library in the world by modern master Mies. Marc B. sends this petition, so you can help. I encourage you to do so. And Lynn has this important post on how it may get easier to tear down a Chicago landmark in 2007.